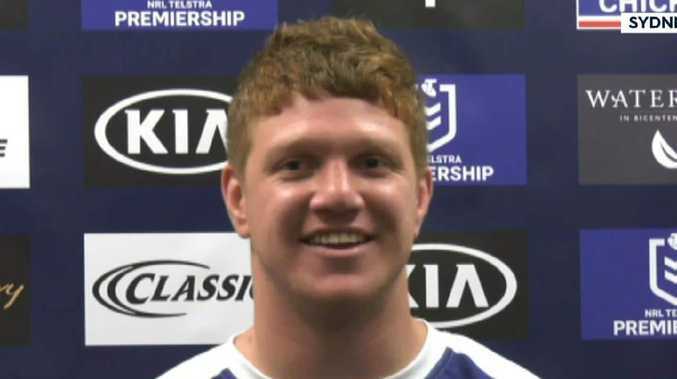 Dylan Napa talks about his move to the Bulldogs. 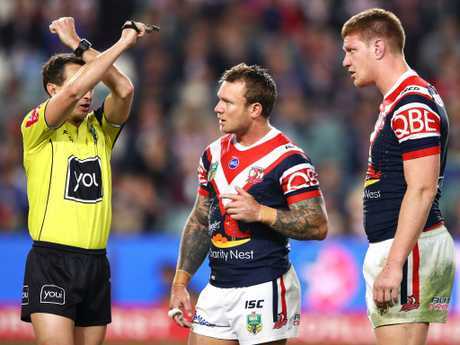 DYLAN Napa was clearly frustrated at the lack of game time he was being given at the Roosters. The Bulldogs' new recruit opened up on Wednesday about his move, saying he left the premiers for the bottom-dwellers to play more minutes. "There was a better opportunity to play a bit more football here, whether that be over the 80 minutes or over the three-year span. So, it was an easy decision in the end," he said. "It was about weighing up the options and by the end of the year I wasn't getting too many minutes, and I felt like this is where I could expand my game and grow as a person." The 26-year-old Maroons enforcer said another reason he chose to trade in Bondi for Belmore was that coach Dean Pay wanted him to play his natural game. "I just want to be Dylan Napa. I'm not going to try and be anyone else but myself," he said. "And that was the main reason why I came here because Dean Pay didn't want me to be anyone but myself, he didn't want me to play like David (Klemmer) or whoever, he just wanted me to come over and play like Dylan Napa." Napa's tackling technique could be an issue for the Bulldogs. When pressed if that meant not reining in his aggression, he nodded but said he would still likely have to work on his controversial tackling technique throughout the pre-season. "I've had a couple of incidents but like I said I'm here to work on my game and hopefully become a leader amongst the group and I'm just happy I can be a part of this group," he said. Napa revealed Canterbury approached him, and he was impressed by his discussions with Pay and skipper Josh Jackson. He repeated a couple of times that he was determined to win Jackson's respect, and that of the playing group. Of course, he also said it wasn't easy informing Roosters coach Trent Robinson of his decision, particularly considering he still had one year left on his contract and he was one of the starting front-rowers for much of the season. "It was tough (telling the Roosters) I've built a lot of great relationships there, obviously with the coaching staff as well as the players," he said. "It was tough but not everything goes to plan, and there's only a few players that have been Roosters for life and they're pretty damn good players. "I wish nothing but the best for the Roosters and my old teammates."